In the modern world that is rapidly digitalizing, security is the most important asset for everybody, be it an individual or an organization, and losing crucial data is just not affordable. 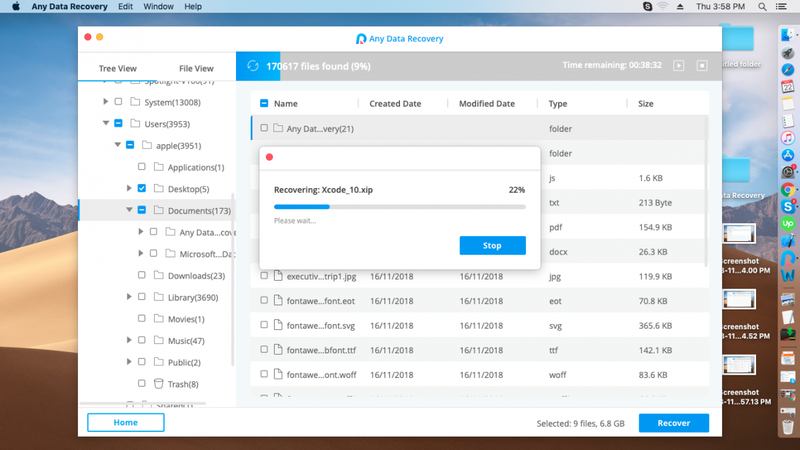 There are many ways to restore data but recovering Mac data has never been easier before the use of Any Data Recoverysoftware. 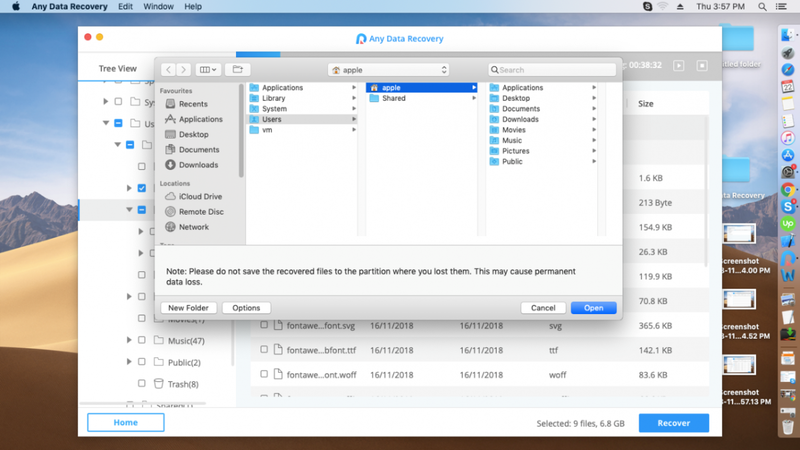 Any Data Recovery Software for Mac helps you restore files from external storage devices and recover data at a very high rate. It can losslessly recover lost/ deleted/ formatted media such as photos, videos, audios, documents, email, web file, archive, and other files without name or extension stored on the Mac computer. No matter how you lost the data, whether it was a system crash, system error, hardware failure, accidental deletion, virus invasion, software failure, water damage, sudden power cut, natural disaster or any other factor, Any Data Recovery is the best solution to get back the lost/ deleted/ formatted data. It recovers 550+ files types on Mac. The software offers a series of utilities that help in restoring the data and saving you from losing important information. It offers an easy-to-use experience that allows both the pros as well as the amateurs to recover the deleted or lost or formatted data with ease. The software filters search results clearly and preview all recoverable files to ensure accurate data recovery. If you are able to look through the results and click on the files to preview their content, recovery has been successful. Scanning of the system is usually a time –consuming process but the built-in data-analyzer in Any Data Recovery Software for Mac ensures faster scanning-speed and higher recovery rate. It safely recovers all the lost/deleted files without overwriting or losing the original quality. However, it is recommended that the data must be recovered on an external storage and not on the original location. It is better to follow the instructions so as not to lose the original quality of data. 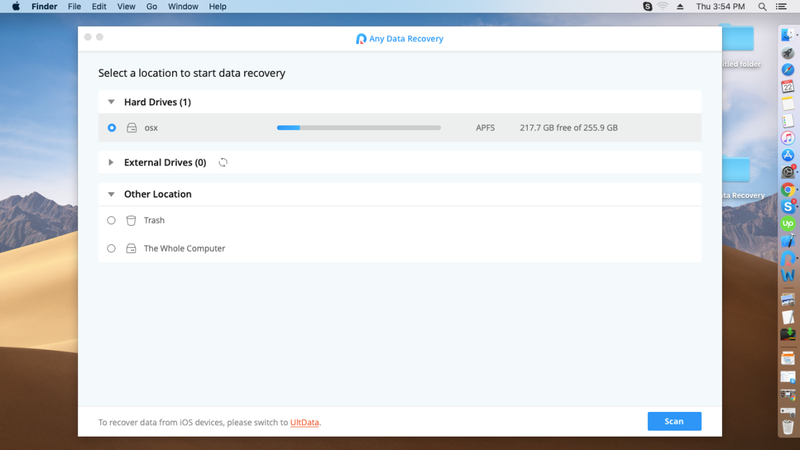 The three simple steps to recover any deleted data using Any Data Recovery are Select, Scan, and Recover. Select the location on your Mac where you lost the data. The software will then begin scanning your drive to look for the lost data. Once done, all the files will be listed for preview and you can select the ones you want to recover. Let us have a detailed insight into the various steps. Click Finder on the Mac device and click on the Users tab to select a specific user. After that, select the location where you lost the data (images, videos, audios, files, or any important information). Click on the Scan button present on the lower right corner of the screen. This is the step where the patience of the users is tested. The scanning is a time-consuming process and the duration depends upon the number of files and the size of files present on your Mac device. Any Data Recovery comparatively takes lesser time to scan the device, otherwise, it is a very lengthy process and may take about several hours for completion. Once the scanning is completed, the complete list of the files that have been recovered gets previewed on your screen. Now you can select the files that you want to recover. It is advised that you recover the files back on any external storage rather than recovering it back to the original location. It is so recommended so as to preserve the original quality of the data or information. Have a look on various types of files and formats that can be recovered using Any Data Recovery for Mac. Photos: JPEG, JPG,PNG,PSD,DNG,GIF,RAW,MRW,PCD,RAF,SVG,BMP,PEF,EMF, and many more. Videos: MOV, MP4, MPG, MPEG, AVI, MKV, TS, VOB, FLV, HDMOV, M4V, MTS, WMV, ASF, etc. Audios: MP3, M4A, M4R, OGA, OGG, OMA, PCAST, SND, VQF, WMA, AA3, AAC, AC3, DAC, DTS, etc. Documents: DOC/ DOCX, PPT/ PPTX, CWK, EPUB, PDF, CSV, NUMBERS, PAGES, PLIST, VCF, XLS/ XLSX, and more. Email: EMAIL, EML, EMLX, FOL, MAI, MBOX, MIM, MSF, MSG, NSF, OAB, WAB, DBX, EDB, and more. Web File: ASP, ASPX, ATT, CHM, CSS, DOWNLOAD, ECE, HTM, HTML, JS, JSP, PHP, RSS, XHTML, and more formats. Archive: 7Z, 7ZIP, APK, BZ2, BZIP, DIST, DMG, GZ, GZIP, ISO, PKG, TAR, ZIP, ZIPX, etc. 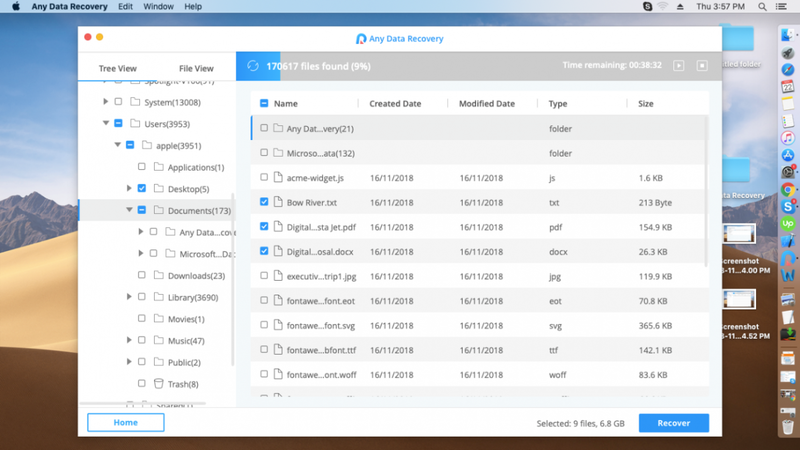 Others: Any other files without any name or extensions stored on your Mac device may also be recovered using Any Recovery Data Software for Mac. Any Data Recovery Software for Mac is compatible with various devices including iMac, MacBook, hard drive, SSD, USB drive, memory card, micro card, SD/CF card, music player, camera, video player, floppy disk, and iPod. It supports multiple file systems including APFS, HFS+, FAT32, and exFAT. 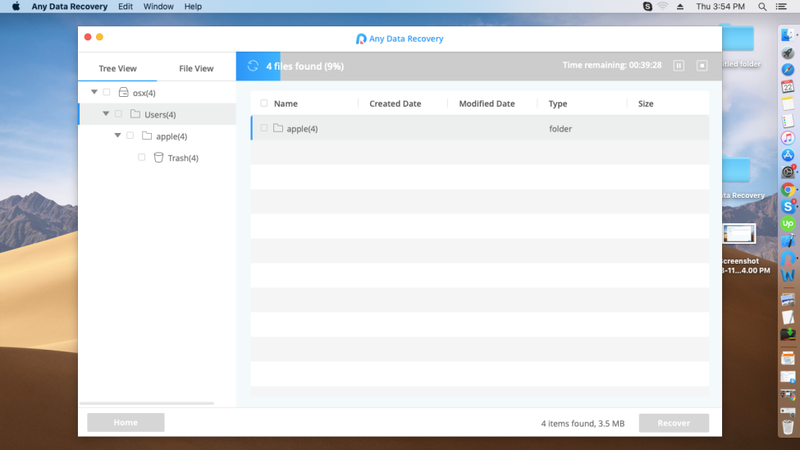 This is by far the most professional and convenient data recovery software for Mac that provides you with features and services more than you can imagine. Any Data Recovery recovers unlimited Mac data for you, be it the data deleted, formatted or lot on Mac or restoring files from hard drive and external storage devices. The software promises high data recovery rate and is 100% secure. You can take the free trial of the software and later download it to your system. It gives 30-day money-back guarantee, free customers support, and lifetime free updates. You can purchase a one month license for $55.95, 1-year license for $55.95 (saving 70%) or a lifetime license for $69.95 for 1 Mac. Also, depending upon the no, of Mac, the price may vary $119.95 for 2-5 Mac, $279.95 for 6-10 Mac, $499 for unlimited Mac. You can also purchase the license for your customized demands. For more details welcome to Tenorshare official.